Small Businesses need to be aware of the Corporate Records Service scam trying to charge money for absolutely nothing. It’s that time of year again… What’s that? Oh, just small businesses being targeted with that scam from the “Corporate Records Service”. This so called records service is spreading through states like a disease. I recall receiving a letter last year and didn’t know it was a scam. Luckily, I found out that it wasn’t real before I fell for it. Yet again, I received another letter this year. It’s tough enough trying to keep up with all the regulations for a business, the last thing we need is someone trying to take our money. 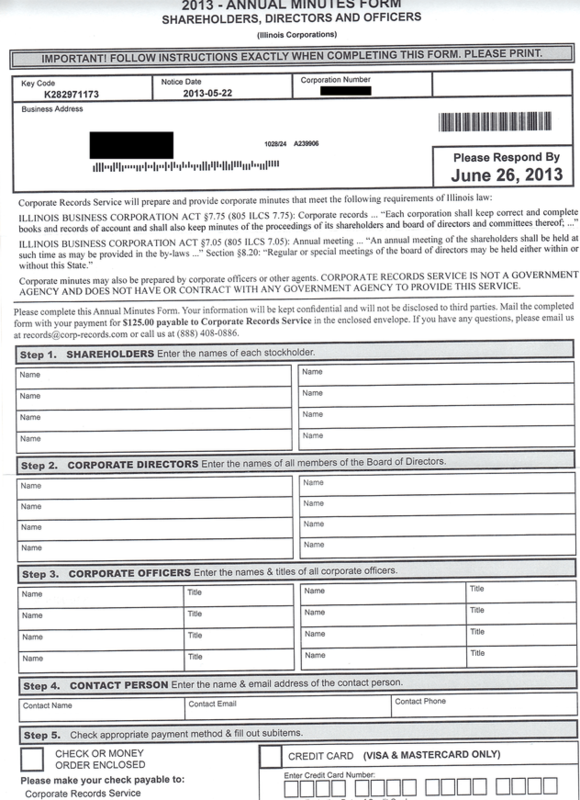 Illinois corporations are again the target of a scam that seeks to collect a $125 fee for filling out an “Annual Minutes Records Form” that does not exist, the Illinois Secretary of State’s Office announced Friday. It is the second time this year a company called Corporate Records Service has attempted to collect the fee, according to the announcement. “The problem is that the form this bogus firm is sending out looks similar to our Secretary of State’s annual report form,” Secretary of State Jesse White said in a statement. 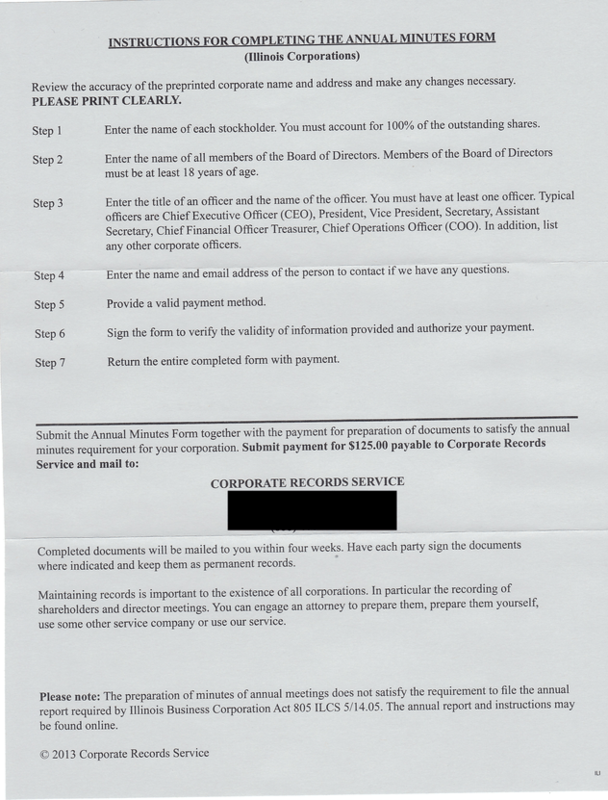 The false notice, which is mailed in a green envelope, states that the fee must be paid by Nov. 9. The scam also has been reported in 10 other states. I’m confused at why this has been able to continue. You will find various articles of this scam. Plus, there are many places like RipoffReport, Better Business Bureau, and the Secretary of State that also note the Corporate Records Service being a scam.